A stylish & personal mix of chairs, tables & art including the authentic oriental rug in deep rich colours. 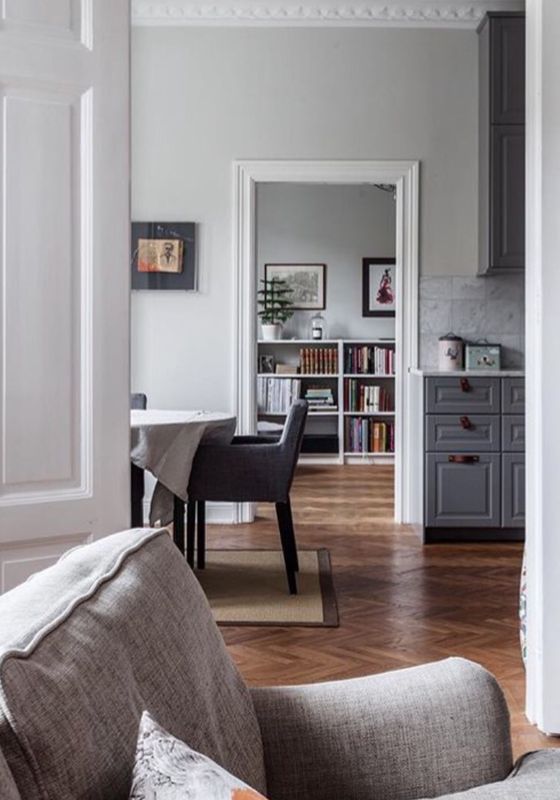 This is an image taken by a photographer in Stockholm that you should check out – it’ is mostly about interiors. This one that I found inspiring & as you know, I like when the you can see rooms in a row – which gives a great overview of the space.